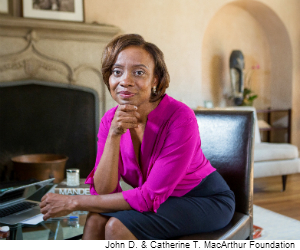 Stanford University social psychologist Jennifer L. Eberhardt has been named a 2014 MacArthur Fellow by The John D. and Catherine T. MacArthur Foundation. The APS Fellow will receive a $625,000 stipend over 5 years for the purpose of following her own creative vision as a researcher. She is among 21 MacArthur Fellows chosen this year. Eberhardt’s research reveals how unconscious racial biases associating African-Americans with crime can exert powerful effects on visual processing and behavior. Her studies have used statistical analysis to analyze how racially coded features, such as a defendant’s skin color and hair texture, impact the decisions of jurors and the harshness of sentencing. Several of Eberhardt’s studies have demonstrated that faces that are perceived as more stereotypically “black” are more frequently associated with crime. In one study, police officers were more likely to mistakenly identify African-American faces as criminal compared to white faces. Eberhardt has also found that when the victim of a crime was white, jurors were more likely to sentence defendants with “blacker” facial features to the death penalty. In a recent study published in Psychological Science, Eberhardt found that white voters are more likely to support punitive incarceration policies after seeing photos of prison populations that showed a higher proportion of black prisoners. Eberhardt has recently begun to work on community-based interventions with law enforcement agencies in an effort to improving policing. 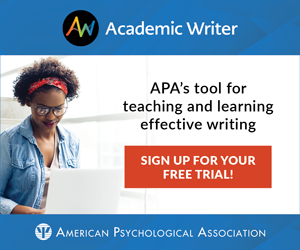 “We want to use the work to help people to understand how race can influence us in lots of different ways, in ways that are sometimes beyond our control and beyond our awareness,” she said in a MacArthur Foundation video. Eberhardt received her PhD from Harvard University in 1993 and was named as an APS Fellow in 2012. She has been affiliated with Stanford University since 1998, where she is currently an associate professor in Stanford’s Department of Psychology and co-director of SPARQ, a Stanford center aimed at offering Social Psychological Answers to Real-World Questions.